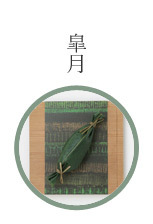 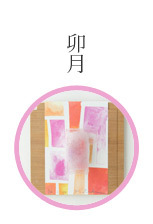 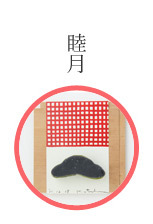 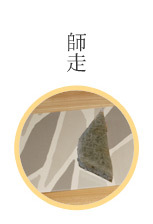 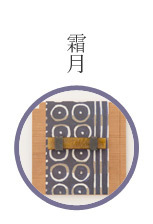 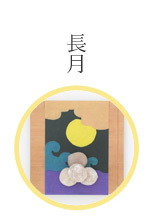 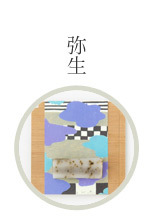 "Textile name: Risshun ( Heisei 25)"
Risshun, the fist day of spring, is the day after Setsubun(3rd February). 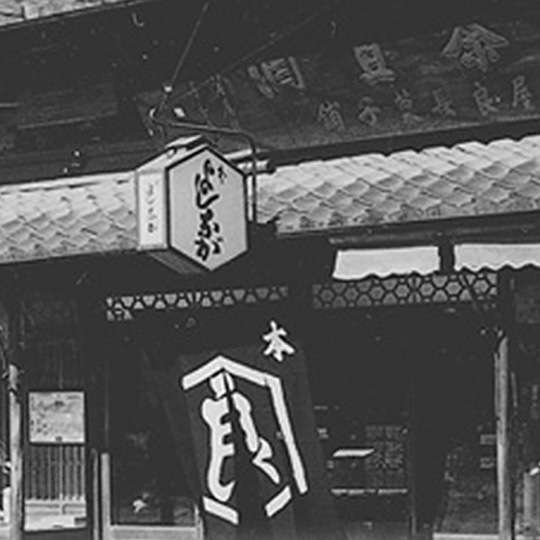 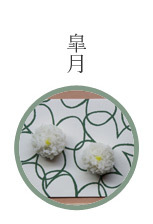 Risshun, written with two characters, means "stand" and "spring". 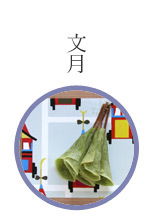 It literally expresses "Spring Stands", however, it is probably the coldest period in the year. 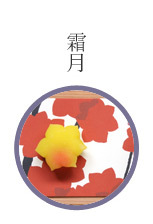 Even then, plum blossoms begin to bloom and we feel spring has almost come. 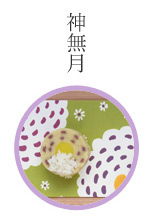 Risshun is a turning point which excites people who are looking forward to spring. 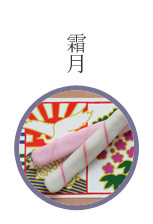 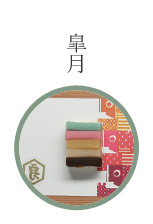 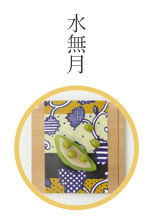 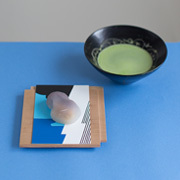 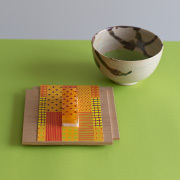 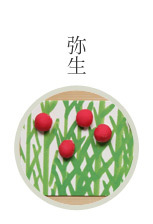 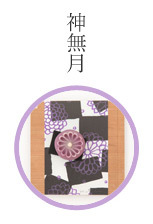 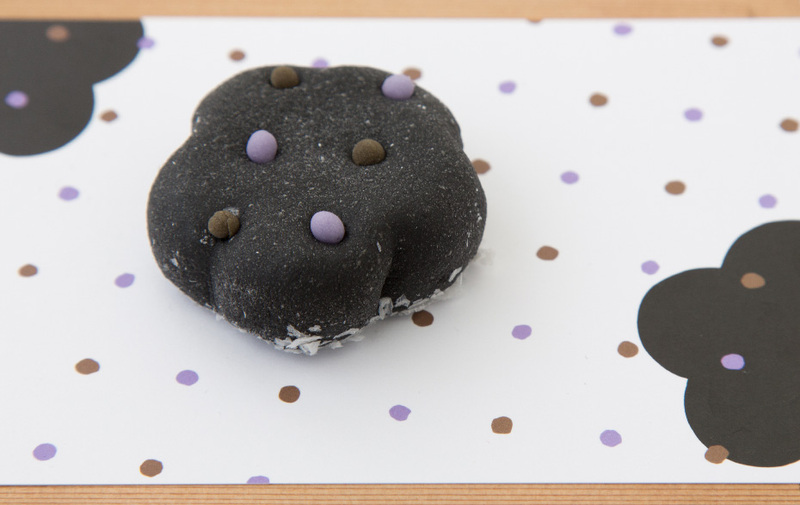 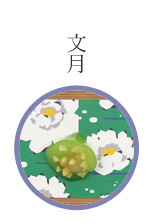 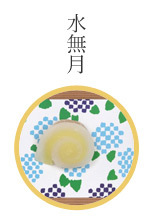 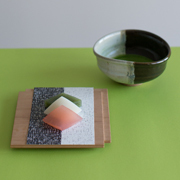 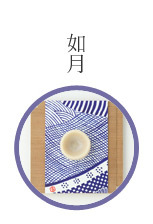 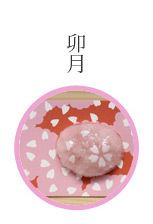 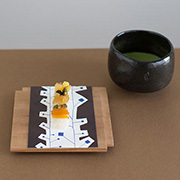 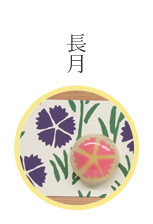 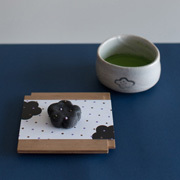 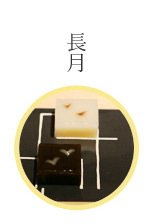 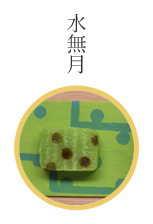 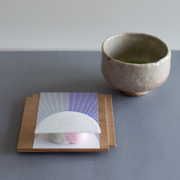 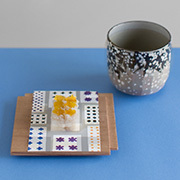 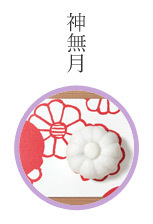 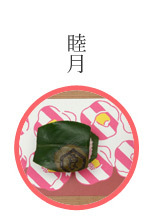 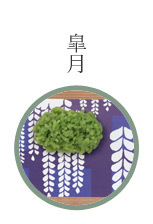 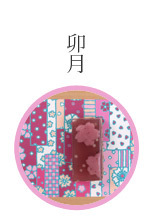 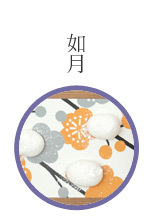 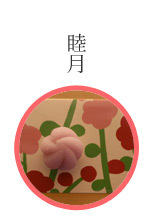 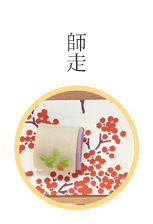 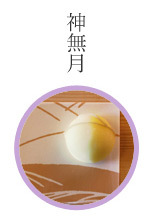 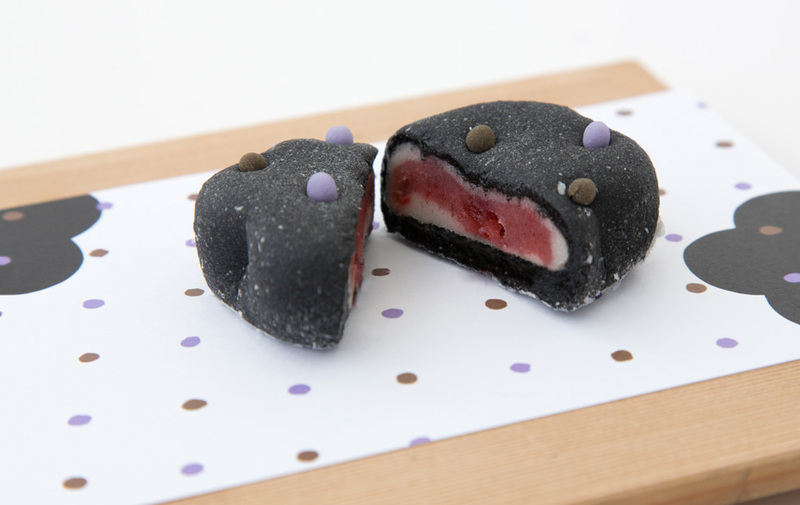 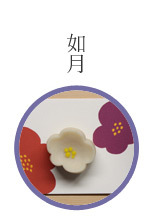 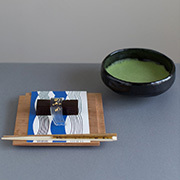 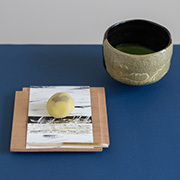 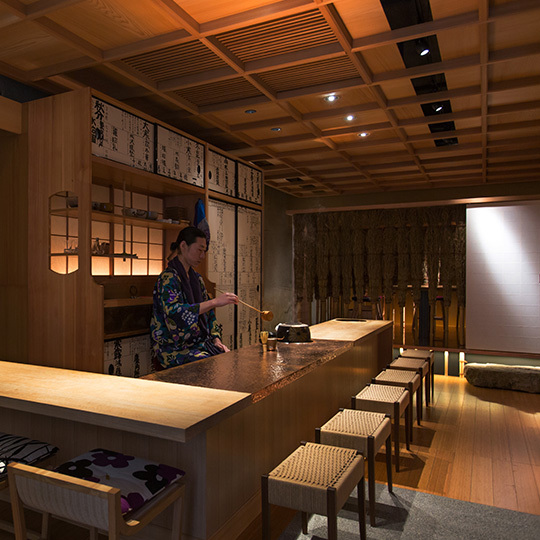 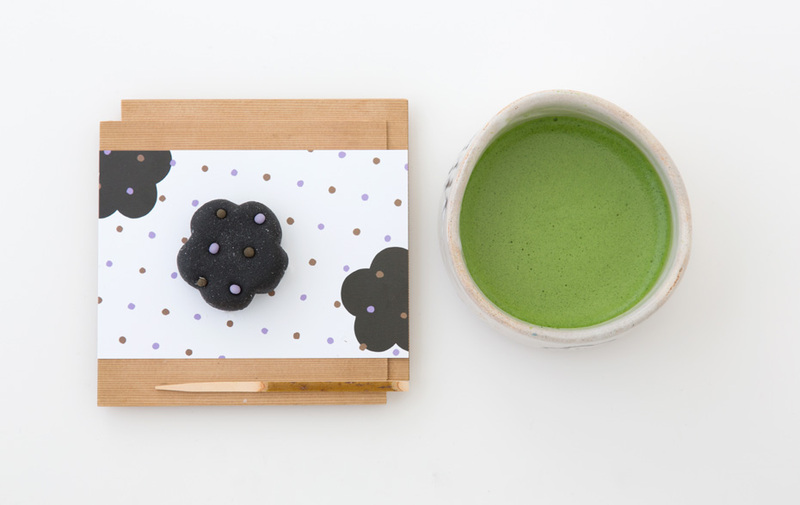 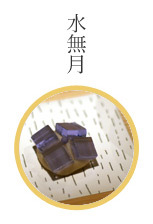 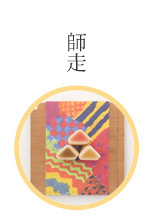 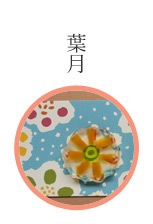 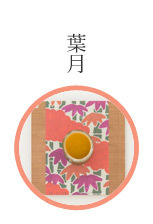 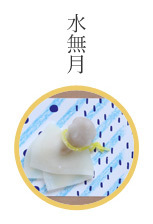 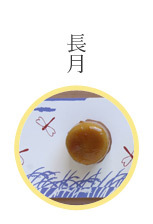 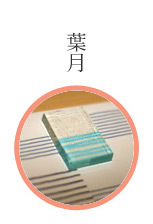 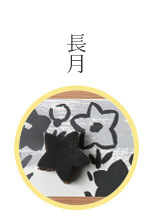 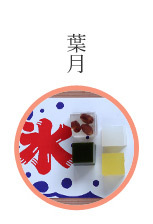 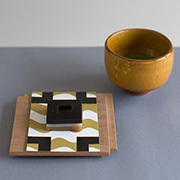 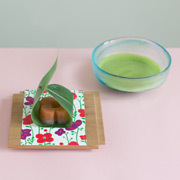 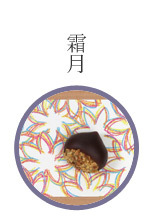 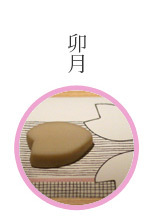 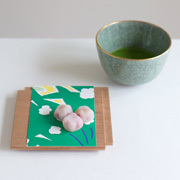 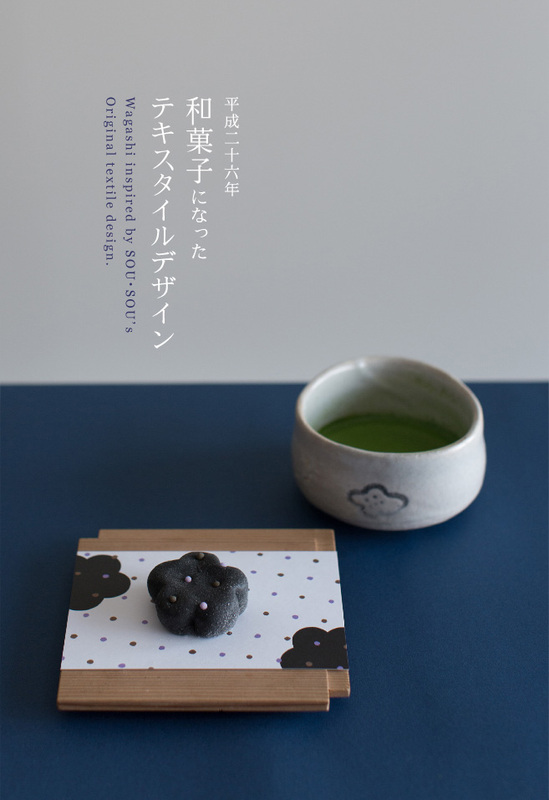 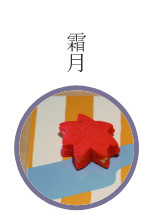 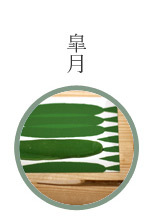 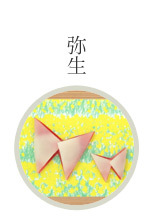 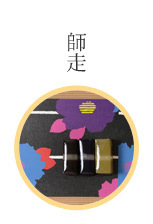 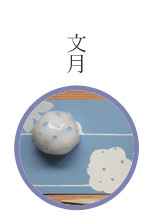 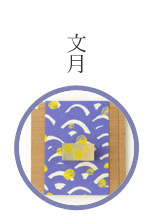 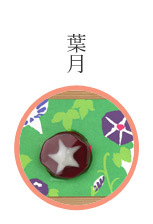 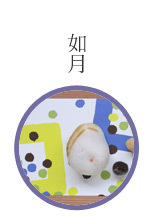 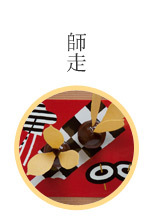 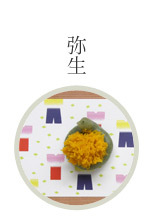 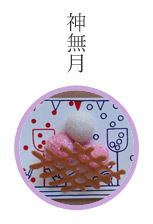 February's Wagashi is inspired by plum blossoms telling people that spring is coming. 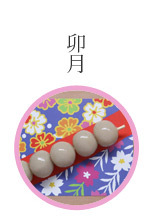 It is made of two kinds of white sweetened bean pastes; one of these has Tsukune-imo, Chinese yam, taste and the other is mixed with some plum fleshes. 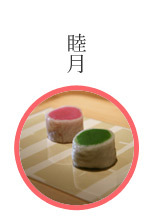 These are wrapped with brown sugar taste Gyuhi, a kind of rice cakes made of steamed rice flour and sugar. 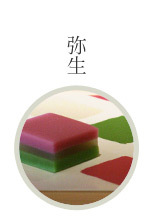 The sourness of the plum matches the sweetness of the brown sugar well, therefore it turns more tasteful and flavorful. 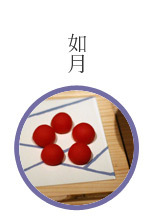 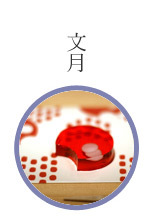 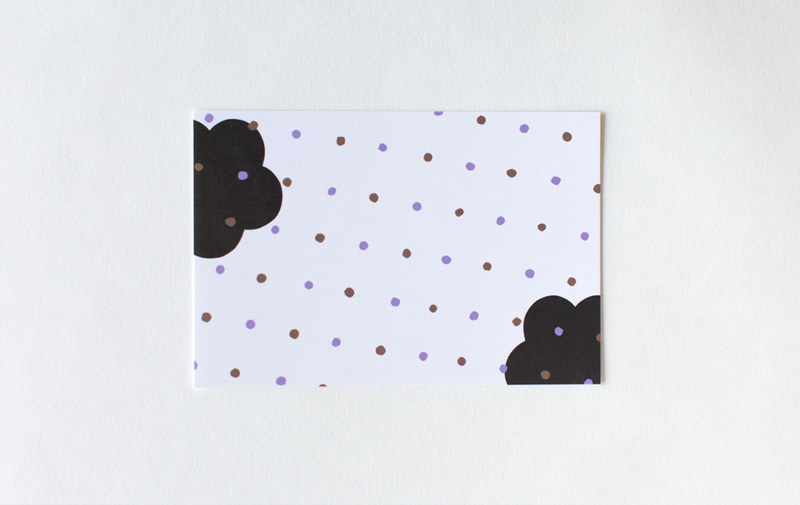 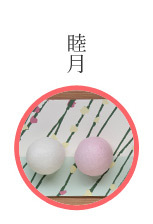 Dots on the top are made of Nerikiri (sweet bean paste), rounded into small balls and dried up.